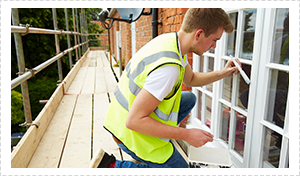 All exterior painting contractors are not created equal. In Brisbane area there are many painters offering exterior painting services, but not many will be able to match the quality, longevity and vast experience of DR Paints. Painting is not just a job, it’s a craft, and it needs to be done by a master craftsman. That craft can only be honed and perfected over time, and that’s the kind of quality and experience Darran brings along to every painting job he does. He takes his craft seriously and wants to go the extra mile to ensure complete customer satisfaction. If the customer is happy, Darran is happy. If you are considering a repaint to brighten up the look of your home, once the Doctor from DR Paint gets on the job your home will look like new again. Your neighbours will be in awe as your house stands out from the crowd, completely transformed. 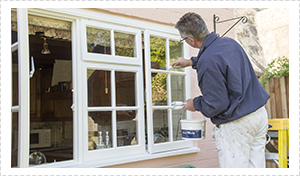 Fresh exterior painting will really breathe new life into your home, taking it to another dimension. Be the envy of your neighbours. Get DR Paint to paint your home and give it a new lease on life. Quality exterior painting can really add value to your home. It doesn’t matter if you are planning to sell in the near future or not, the more presentable and fresh your home appears, the value will naturally increase. And if it is up for sale, how much better do you think it will look to potential buyers as they cruise along the street looking for homes for sale and they see yours, all bright and fresh and gleaming under the Queensland sun? You need every advantage you can get in the highly competitive Brisbane real estate market, so entrust your exterior painting to DR Paint and really add saleability and value to your home. The exterior of your home or premises needs to be able to withstand the harsh Brisbane sun and weather, particularly in the warmer months and during storm season. Without proper and thorough preparation before the exterior is painted, there is a chance that the results will not last that long. Likewise, if paints and materials of an inferior quality are used, or paints not suited to the conditions, the results just won’t stand the test of time. You need a painter who will do the job right the first time, one who will go the extra mile to ensure everything is done correctly, and a painter that is as passionate about your home or premises looking great as you are. If you are a little unsure of what colour you want to paint the exterior of your home, Darran advises that you take a drive around and see what appeals or stands out to you. You can get some great ideas based on what you see. Seeing a paint sample can look completely different to the finished product, so it’s a great way to get a visual idea of what you might like. Doctor Paint is like a cosmetic surgeon when it comes to beautifying the exterior of your home, office building, factory or other premises. Based on the south side of Brisbane, DR Paint has got you covered. We even do roof restorations. Give us a call today for a free quote or shoot us an email.